It is important to understand the exact effects spot welding has on boron steel, as the heat-affected zones can exhibit reduced hardness, which can in turn shorten the material's lifetime. To investigate the correlation between hardness and residual stress, measurements must be taken on the same spot weld. Therefore, a non-destructive method of measuring residual stress must be used so that the weld can be sectioned afterwards for the hardness tests. Non-destructive methods include electron, X-ray and neutron diffraction; the latter was the chosen method as the neutron beam has a cubic gauge volume, which is the most suited for the given sample's geometry. A recent collaboration between the ILL, WMG at the University of Warwick, Tata Steel, and the Engineering and Physical Science Research Council (EPSRC) conducted a study to investigate the correlation between boron steel hardness and residual stress. 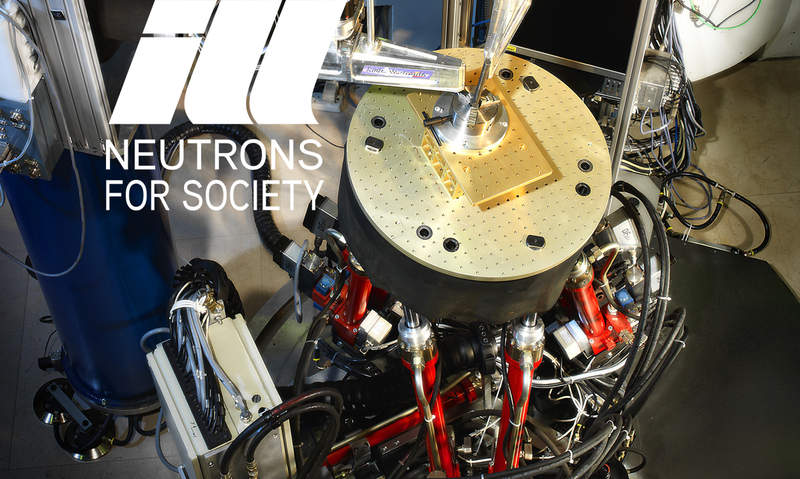 Tata Steel provided the boron steel sheets for the experiments, which were carried out by WMG researchers on the ILL's SALSA (Stress Analyser for Large-Scale Applications) beamline. Neutron diffraction was chosen as the method for measuring residual stress in this study due its ability to penetrate heavy materials such as boron steel, and the finer resolution it provides. Hardness distributions were measured on the same welds. Dr Neill Raath, Research Fellow at WMG, and principal researcher of this study says: "Our future work will look into two methods that can evade this issue: magnetic pulse welding, which does not use heat and as such does not cause a heat-affected zone, and post-welding heat treatment, which reverses the reduction in hardness caused by spot welding. This will be of particular importance to industries that use boron steel, namely the automotive and farming industries, as well as materials developers who can use the data for modelling and destructive simulations in their own work." Dr Thilo Pirling, ILL scientist leading the SALSA team, says: "The SALSA beamline is a well-suited instrument for this study, as it specialises in determining residual stresses in a broad range of engineering materials, including steels. It also allows larger structures to be placed within the beamline. In this case, the non-destructive nature of the technique allowed the correlation of interest to be analysed effectively, as hardness profiles could be determined on the same weld following the neutron diffraction tests for residual stress."